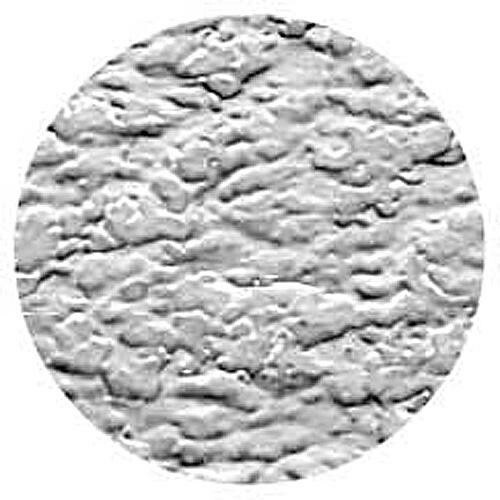 Rosco Ice Effects Glass Gobos are texture and shading in one gobo. They are abstract patterns embossed into heat resistant tempered glass that project remarkably varied patterns which combining light, shadow, and depth. Unlike steel patterns, these complex textures and tones are achieved with very little light loss, something that's always important to the lighting designer. Changing the focus of the fixture changes the projected image, as the focal plane passes through the depth of the glass. As light refracts through the glass the projected image is bent in spectacular ways. Combine with other steel or glass patterns for all new effects. Used with the Rosco Double Rotator, Image Glass creates animated images that are impossible to create otherwise. Note: Always check with your lighting manufacturer to make sure the Gobo will fit your specific light since the Gobo you order may not be non-returnable. It is also recommended that you find out if a Gobo Holder is required.